My records seemed to indicate we had not changed the chain since just before the 3 ring circus in 2012, which seems a long time, but probably correct. 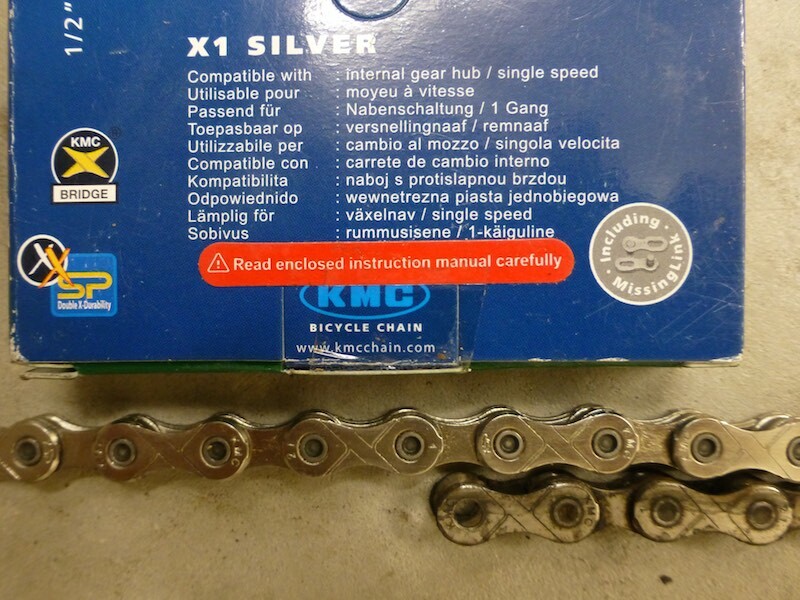 I used the KMC single speed chain and needed 102 links of the 110 supplied. 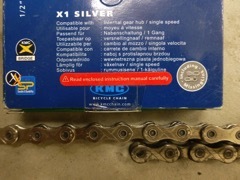 The photo above shows the length of the old chain and the equivalent point on the new chain so it has obviously stretched. I had a new 38T chain ring which I installed and you can see below the wear on the old one compared to the new one underneath. 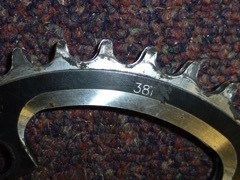 The rear sprocket is also new 16 teeth which came with the new hub. 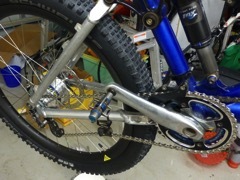 I had considered using a 36 tooth but as it is well under the 2.5 ratio Rohloff recommends (here) for Tandem i.e. 16 x 2.5 is 40 which is the lowest they recommend for tandem. With 38T we are a drive ratio of 2.375.